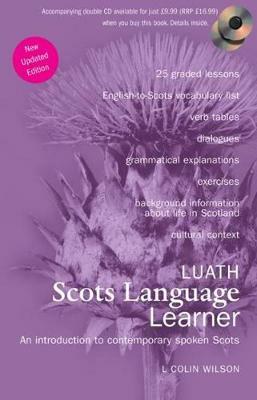 This new edition of the Luath Scots Language Learner featuring updated information is suitable as an introductory course or for those interested in reacquainting themselves with the language of childhood and grandparents. There are dictionaries and grammar books but this is the first-ever language course. The book assumes no prior knowledge on the reader's part. Starting from the most basic vocabulary and constructions, the reader is guided step-by-step through Scots vocabulary and the subtleties of grammar and idiom that distinguish Scots from English. An accompanying audio recording conveys the authentic pronunciation, especially important to readers from outside Scotland.